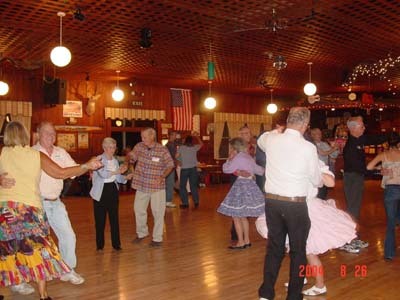 Circle ‘N Squares is a modern square dance and round dance club which welcomes all dancers and all ages. There is always a lot of fun, laughter and friendship. In addition to our regular dance nights, we sponsor six hoedowns a year with outstanding square dance and round dance callers. “Pie Night” is every 4th Thursday – gotta come for pie!